Canada’s Eldorado Gold (TSX:ELD) (NYSE:EGO) may miss its 2017 guidance by as much as 25% due to leaching problems at its Kışladağ mine in Turkey, one of its largest operations. The Vancouver-based company said late Tuesday that Kışladağ is now expected to produce 180,000-210,000 ounces of gold this year. Incorporating that revised guidance, the miner’s group expected output would be 315,000-365,000 ounces, down from the original 365,000-400,000 ounces forecast. It now expects to produce at least 180,000-210,000 ounces of gold this year at Kışladağ, down from the previous 2017 mine production guidance of 230,000-245,000. Shares in the company were hit hard by the news. They fell 4.9% Wednesday to Cdn$3.53 in mid-morning trading in Toronto and were last trading 3.9% lower in New York to $2.71. Other larger gold miners were also falling today. "While Kisladag's decrease in production for the year is disappointing, our team has implemented a strategy to return our cornerstone asset to normalized production levels," the company’s President and CEO, George Burns, said in a statement. He noted that the ounces the company may miss in 2017 are expected to be produced in the first half of 2018. As a result, Eldorado Gold upped its outlook for next year and now expects to generate about 320,000 to 335,000 ounces at cash costs of $425 to 475 per ounce, compared to previous guidance of 285,000 ounces. 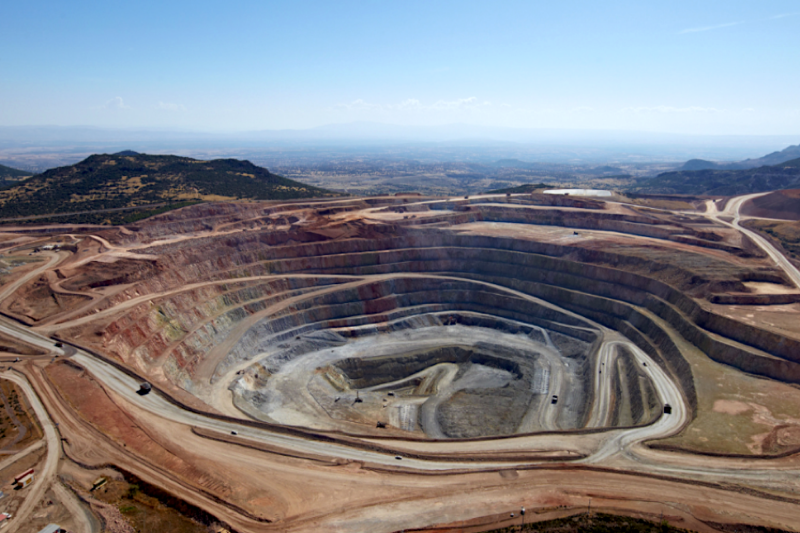 The potential miss in the current fiscal year could have consequences on the company’s ongoing acquisition of Integra Gold (TSX-V:ICG), as the fellow Canadian miner’s shareholders are set to vote next week whether they approve the takeover. Early this year, the company announced it had indefinitely shelved expansion plans for its Kışladağ mine, Turkey’s largest gold operation. Eldorado is set to release results for the second quarter at the end of July.